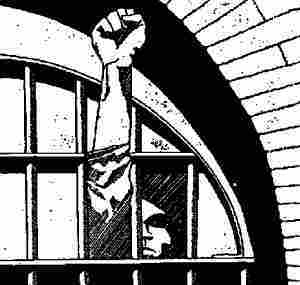 Statement by the Prisoner Struggle Committee of Korydallos prison in Greece after the death of Maltezos Sozos. On the seven of february after the news of the death (murder due to the bureaucracy and lack of medical staff) of the 26 year old prisoner broke, the Prison Struggle Committee called for a meeting. Afterward prisoners in all the prison wings (A B C D and E) were informed that a protest an hour after the scheduled lock-down had been decided. At the same time the committee’s letter asking the Ministry to hire all the required medical staff in prisons so that medical duties would not be performed by prison guards or in some cases even prisoners who have no medical knowledge, was submitted.